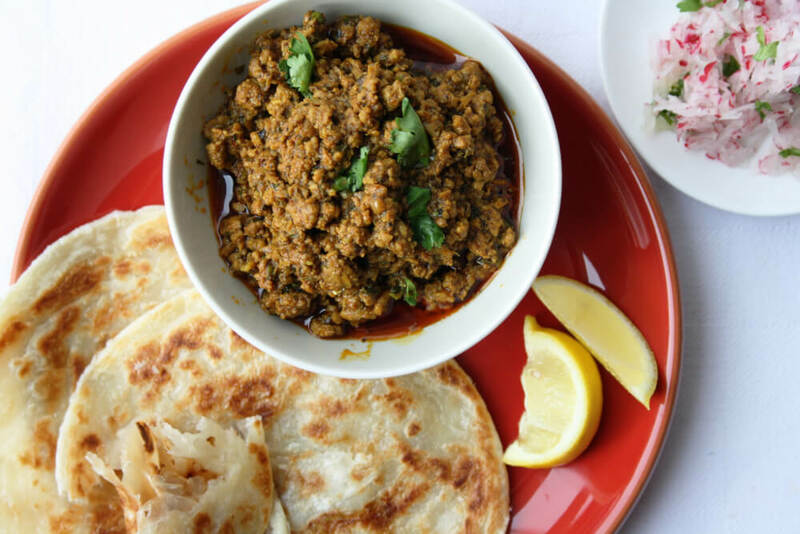 Whether you follow this Indian lamb keema recipe as it is or switch the lamb for beef, the flavour is definitely going to be rewarding. If you usually use your minced meat for chilli con carne or making burgers, give this Indian recipe a try and enjoy something new. 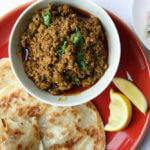 This Indian lamb keema is nicely served with warm naan bread, and you could serve a chunky tomato and garlic salad on the side too if liked, or else some steamed spinach and paneer (Indian cheese). It's also good served over plain basmati rice, which is actually true about most curries and Indian main courses. If you want to change the recipe, you can swap the peas for raisins and chopped nuts. Or else you can just throw those in anyway, since they're so tasty in there. Minced fresh ginger also adds some zing. Make extra portions if you wish; it warms up nicely the following day so you can enjoy it for lunch. This isn't a very spicy dish but if you want to up the spice level just throw in some extra chilli powder or even minced fresh green chillies. Oh - and try it as a filling for stuffed peppers! Fry the onion with the garlic in the oil for 3 minutes or until tender. Now stir in the meat and potato. Add the spices and cook, stirring, for 1 minute. Grind in some salt and black pepper. Cover and simmer for about 12 minutes or until the potato is tender. Add the peas and simmer for 3 minutes. This dish is nice sprinkled with fresh coriander.